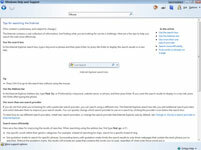 Windows 7 Help is organized by topics you can browse, but it’s often easier to search for exactly what you need help on. 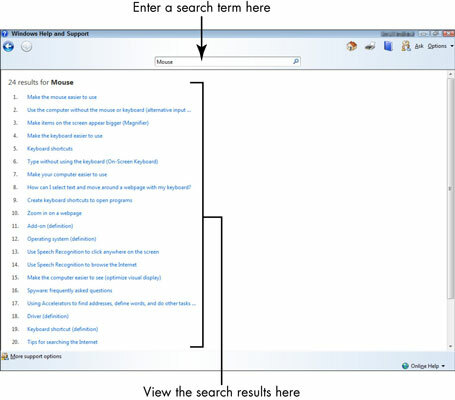 Search Help by entering keywords such as mouse or magnify. The Windows Help and Support window opens. 2Enter a search term in the Search Help box and then click the Search Help button. Search results appear. 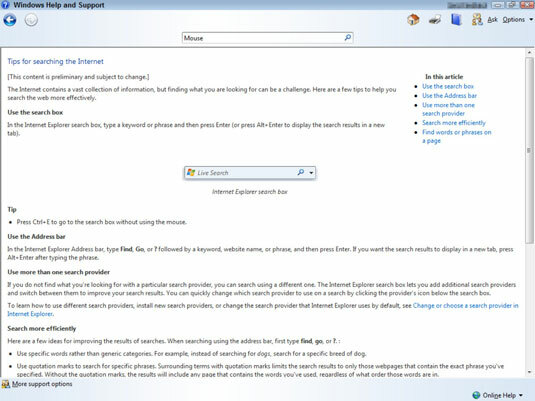 Windows searches online help by default, if you are connected to the Internet. If you wish to use only offline help, click the Online Help link in the bottom-right corner and choose Get Offline Help. If the search results don’t provide anything useful, enter a different search term in the Search Help text box and start again. 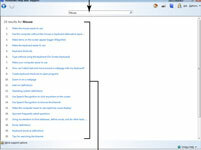 3Explore topics by clicking various links in the search results. These links offer a few different types of help, such as procedures, which explain things like how to make the mouse easier to use. You’ll find troubleshooting help items phrased as statements, such as “I can’t hear any text read aloud with Narrator.” Clicking one of these opens a troubleshooter wizard. If you don’t find what you need with Search, consider clicking the Browse Help button in the top-right corner of the Windows Help and Support window (it sports a little blue icon in the shape of a book) to display a list of major topics. These topics may provide what you need, or give you some ideas for good search terms to continue your search. You can also seek out other users for help.